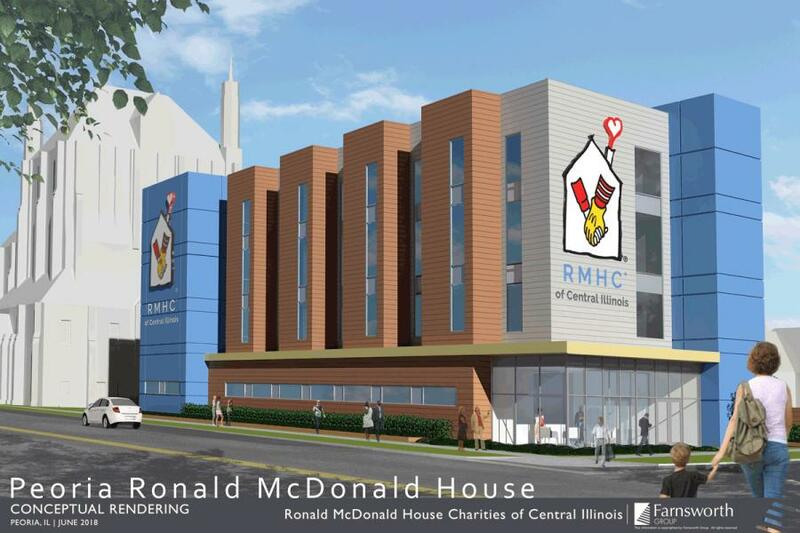 PEORIA, ILL. (AP) A $7 million Ronald McDonald House will be built in central Illinois to provide free housing for families with sick children undergoing medical treatment at nearby hospitals. Peoria officials hope to break ground on the project in September, the Journal Star reported. The building will be located near OSF HealthCare Children's Hospital of Illinois and UnityPoint Health-Methodist. The house will feature more than 20 bedrooms, which can each accommodate up to five people and are designed like a suite. The building will serve children getting care up to age 22, said Kelly Thompson, the CEO of the Ronald McDonald House Charities of Central Illinois. The facility will have a wing specifically for children at St. Jude Midwest Affiliate, said Julie Locke of the DAX Foundation, which helps St. Jude families. The wing will include five rooms, a playroom and laundry services. “One of the features in the house is a gathering space on the first floor so that families get to know one another and help provide support that's so much needed,” she said. The foundation has donated $1 million of the $5 million already raised for the project, Locke said. About 80 percent of funds are expected to be raised by September, Thompson said. McDonald's restaurants in the area have pledged to raise $500,000 toward the project. Construction will take about 14 months and the facility is scheduled to open October 2019, Thompson said. Farnsworth Group and River City Construction will design and build the 40,000 sq.-ft. facility. Springfield also has a Ronald McDonald House, while the Chicago area has five, Thompson said.